learn to love painting white flowers...rather than being afraid of them! time to learn watercolor florals so you can let your skills & your designs truly flourish. 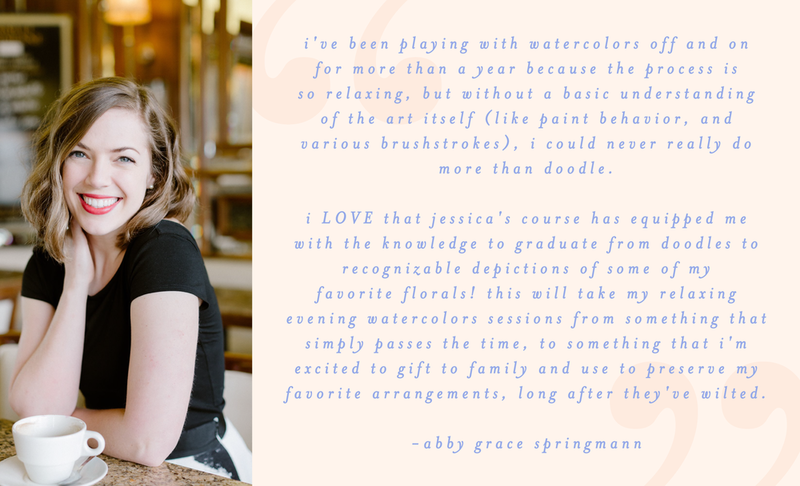 Enroll in the Watercolor Floral course! do real life flowers bring you so much joy, but thinking of painting them brings you so much anxiety? show off your new artistic talent to loved ones! Investing in the entire SJM Art School Semester is a big exciting leap - even if you are getting this Watercolor Florals course for free! If you need a little friendly help, I'm here for you. If you're still looking for the perfect holiday gift for your artistic friend, gifting them with a gift card to one the watercolor florals course will surely grant you the best-gift-of-the-year award!